E-waste or Waste Electrical and Electronic Equipment (WEEE) describes discarded, surplus, obsolete, or broken electrical or electronic devices such as computers, televisions, and mobile phones. Globally, e-waste is growing at a rate of about 40 million tonnes per year as consumers, in both developed and developing nations, buy new gadgets and discard their old ones. E-waste that is dumped into landfills or is recycled without care, can leach heavy metals into the ground water and soil. Burning E-waste produces lethal acid fumes, chlorine, and sulphur dioxide gas. 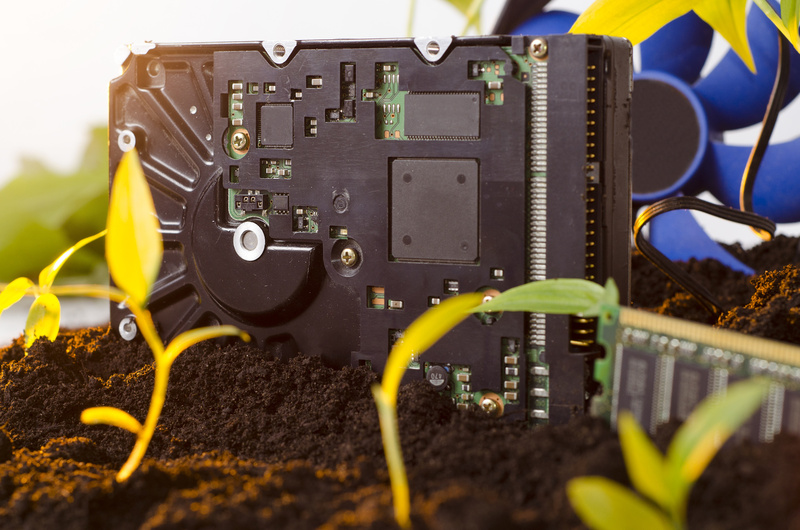 Millions of tons of e-waste disappears from the developed world every year and continues to reappear in developing countries, despite international bans. Campaigners believe unscrupulous scrap merchants are illegally dumping millions of tonnes of dangerous waste on the developing world under the guise of exporting it for use in schools and hospitals. Thousands of discarded computers from western Europe and the US arrive in the ports of west Africa every day, ending up in massive toxic dumps where children burn and pull them apart to extract metals for cash The consequences of e waste pollution include serious health problems such as respiratory diseases, neurological disorders, and leukaemia. 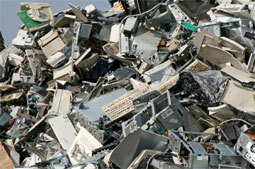 A recent UN report says that urgent action is needed to tackle the “mountains” of e-waste building up in developing nations. Most new technology products require rare earth metals in their construction. Such metals are only found in a handful of countries. They are difficult to mine and almost impossible to extract through recycling processes. China has more than 97% of the world’s rare earth elements and has indicated that it will stop exporting most of these elements by 2012. This will have a detrimental effect on the IT industry, and is causing debate and concern at an international level. The repair and reuse of faulty equipment leads to a diminished need for the manufacture of brand new products which contain rare earth metals. This is the only credible and effective solution to the shortage of these elements. (See the article in the NY Times: China blocks vital exports to Japan 22 Sept. 2010). 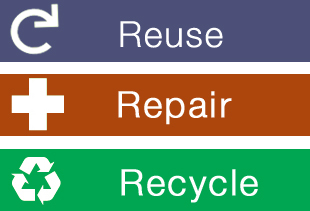 Support for this view is given in the WEEE directives, which state that reuse of equipment is 20 times “greener” than recycling. It is indeed possible to considerably extend the working life span of a network infrastructure. Repairs and spares services such as Comtek enable equipment to be kept in good running order for as long as the customer wishes. This is not only good for IT budgets but also good for the environment. Recycle unusable IT equipment responsibly. For years, Comtek have been petitioning the government to reform our throw away culture, protect the environment, and to encourage sustainable working practices. 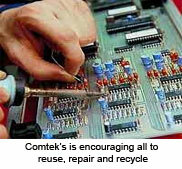 Over the past two years, Comtek has conducted a massive PR campaign to raise public awareness of the E-waste problem. We have helped to create a national debate about green IT issues. Comtek has written to government ministers to highlight the cost and sustainability benefits of repairing and re-using faulty communications equipment. In February 2010, Comtek petitioned Downing Street to ask for the abolition of VAT on repairs of IT equipment. The abolition of VAT on repairs would encourage the creation of community based repair businesses and their associated sustainable jobs. Such a change in the VAT rules would give a signal to industry that the Government sees repair as an effective way of reducing carbon footprints. In April 2010, Comtek persuaded its local MP, Mark Tami, to back this cause; this gave the issue further publicity. Comtek is currently running a campaign to encourage government departments to extend the life of their IT and communications infrastructures for three years beyond their current scheduled life expectancies. This would reduce government costs and result in a lower demand for manufacturer’s new products, thereby reducing the government’s carbon footprint and relieving the burden on landfills. In October 2010, Comtek hosted a seminar for North Wales businesses about the hidden financial and environmental costs of E-waste. The momentum of Comtek’s E-waste campaigns increased rapidly, gaining support from various organisations and high level campaigners. This meant that in March 2011 Comtek were able to play host to a stellar line-up of industry leaders, MPs and members of the press at an event held on the House Of Commons Terrace organised to raise awareness of the need to enforce more sustainable practices within businesses. To read more about this seminar please click here.